Having scaled the heights of back-to-back wins in both the drivers' and constructors' championships in 1959-60, Cooper found the terrain beyond steeply downhill. In 1961 it finished fourth in the constructors' standings, in '62 third, and from 1963-5 only fifth. Particularly galling to the Surrey team was that Lotus and recent arrival Brabham consistently bettered it, despite using the same Coventry-Climax engines. So there were no power plant excuses: after leading the F1 world by the nose into the rear-engine era, Cooper had lost its innovatory spark. 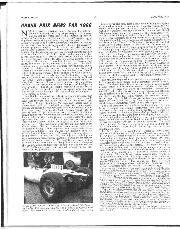 The record clearly showed that Lotus, Brabham and perhaps BRM too now made better chassis. Formula One's 'return to power' in 1966 was to prove Cooper's last chance to halt the downward slide that would end in oblivion following the '68 season, when the last works Coopers raced at Mexico. 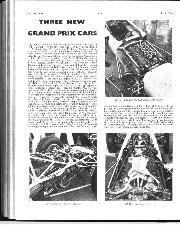 Despite being forewarned that the 1.5-litre formula would end in '65, many teams had been slow to put in place a supply of the new 3-litre engines. With Coventry-Climax's decision to quit the sport, Lotus was on the back foot, while Brabham had opted for the Australian Repco V8. Cooper forged a deal with Maserati to use engines developed from its 2.5-litre V12 which had been intended to replace the 250F's straight-six in 1957. On the chassis side, Cooper took the late decision to follow Lotus's lead and abandon multi-tube construction for the Type 81 in favour of a stressed-skin 'bathtub'. To help with this, designer Derrick White was assisted by Tony Robinson, who had prior experience with BRP's F1 and Indy monocoques. 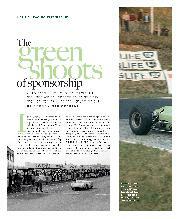 It was to Tony that I spoke about the project, along with John Surtees, who drove the car for much of the 1966 season. 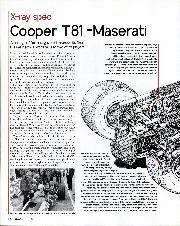 Cooper's Maserati gamble actually paid off, at least in year one. The team finished the season third in the constructors' championship, with Surtees and Jochen Rindt securing second and third in the drivers' rankings. Cooper was third again in 1967, but now the cracks were showing. Although Pedro Rodriguez began the season with a flourish, winning at Kyalami, no Cooper finished higher than fourth for the rest of the season. 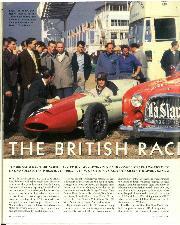 Then a lamentable '68 with the BRM V12, watching the Cosworth-powered teams cleanup, put the nails in Cooper's coffin. Although a car was designed for '69, the sponsorship was never forthcoming to build it. "The Maserati V12 was a bit ancient and not the tidiest of engines, but not bad at all. They were very capable people at Maserati, and if they'd been able to put their full resources into it, it could have been successful -- it was a good, sound engine. I had a high opinion of (Giulio) Alfieri, who had to work with the equipment he had rather than design something new. I went out to spend some time with him in the factory and got them to change over to Marelll ignition and modify various other bits and pieces to make the engine more raceable. He was very receptive." "Yes, we changed it a bit. I had the highest regard for (designer) Derrick White and got on well with him. I tested the car and said it didn't fit with some of my thoughts. I lowered the rear roll centre -- there was too big a differential between front and rear -- which in turn changed the camber curve on the rear wheels, which helped the balance. 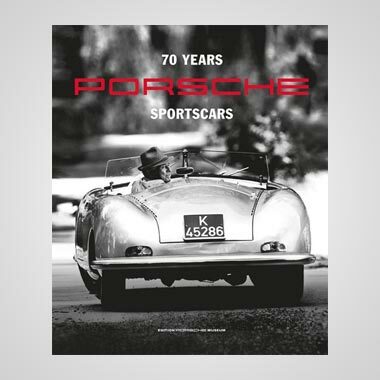 The car tended to jack itself a bit in corners and I wanted a little understeer which could be countered with the right foot. We made adjustments to the geometry to do that, and played with spring rates. We got it to handle pretty well. And with a little bit more luck we'd have won the world title that year. Germany was a disappointment because a gear stripped, and the stupid business of the fuel tank splitting at Monza was a shame. Then I was sitting in the US GP, driving my own race behind Lorenzo (Bandini) -- who had the more powerful three-valve engine Ferrari introduced after I left -- able to stay with him no problem, when Peter Arundell (Lotus) came out of the pits and collected me. We got fastest lap after the resulting pitstop and finished third, but that cost us any chance of winning." "They'd taken on Derrick White from Jaguar as chief designer, assisted by Bob Marston. Both were good men, but I'm not being disrespectful if I say they lacked experience building formula cars. I'd let Cooper poke around the '64 BRP car earlier in 1965, and I suppose that decided them that this was the way they wanted to go and that I was the person to help them. I was employed on a retainer for three months to advise and assist in the design and construction of a monocoque. My job, basically, was to fill the gap between the front and rear wheels! I brought a done-it-before aspect to the project. I was in a position to say. 'This is the type of jig bed we need to build: this is the type of rivet we need: this is the type of structure; these are the materials I'd suggest.' These were the basics that you learn from having done it before. Cooper ended up with a tub they could bolt all their other bits to and, as far as I know, it never let them down." "The tub was entirely riveted, with an anti-corrosion compound between the sheets. The build method was quite complex. You might have an inch-wide flange between sections, running a length of three of four feet. What you had to do first was drill the holes for the rivets, using gripper pins in the holes as you made them to keep them all aligned as you worked along. Then when all the drilling was done you had to take the panels apart so you could deburr the holes on the inner surface, before reassembling them with the anti-corrosion paste and riveting them together. If you didn't go to that trouble you didn't get a proper clamp between the panels. If you riveted without deburring which still happens with pop rivets, then once you'd shaken the chassis around a few times on the track, everything was loose. I saw one of our 1964 BRP Chassis a few years back and the riveting was still sound even though most of the skins had corroded away." 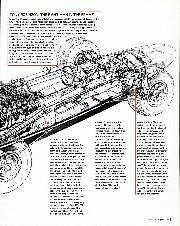 Although Fl designers of the period paid lip-service to the importance of chassis torsional stiffness, most admit today that they never actually measured it. But Derrick White did. 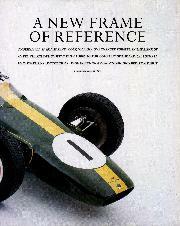 Robinson: "He had made a jig for this, quite a sophisticated one, and he used it to measure the monocoque. I can't remember the figure, but its torsional stiffness was certainly a lot greater than for a multi-tube one. A stiffer monocoque can reveal other problems, though. A car that twists sometimes handles better than one that doesn't because of inadequacies in the suspension. 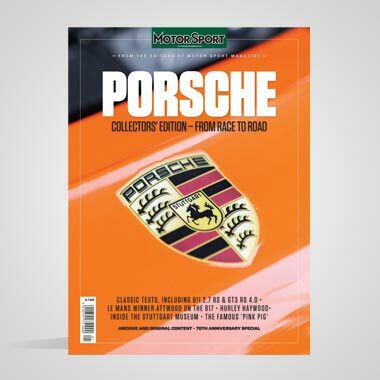 I think it could very well be that the previous year's floppy chassis had masked some problems in the suspension geometry, and that's why the Type 81 began the season with poor handling." One of the Type 81's oddest features was its semi-inboard front brakes, with the disc and caliper located inboard of the suspension upright and the disc mounted on the inner end of a rotating stub axle. Robinson: "I think these must have been a very bad idea. Nobody knew much about aerodynamics then, but they must have significantly increased the car's drag. The problem was, if you used a 13in front wheel, the largest disc you could get in there, with a caliper, was 10.5in diameter, which wasn't enough. So you either had to use twin small discs or a larger wheel. We had already progressed from 15 to 14in wheels, so 13in seemed the way to go. Derek obviously thought, 'I want bigger brakes but I can't get them inside a 13in wheel.' 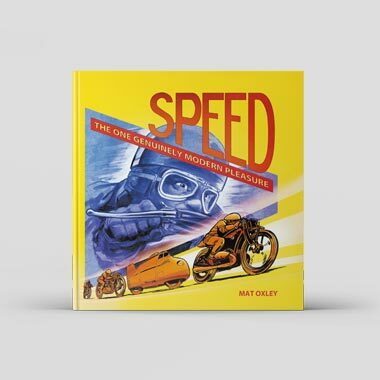 So he put the disc and caliper inboard of the upright, and out in the airstream."